The 2016 CSTA-CSSA awards banquet was a smash! 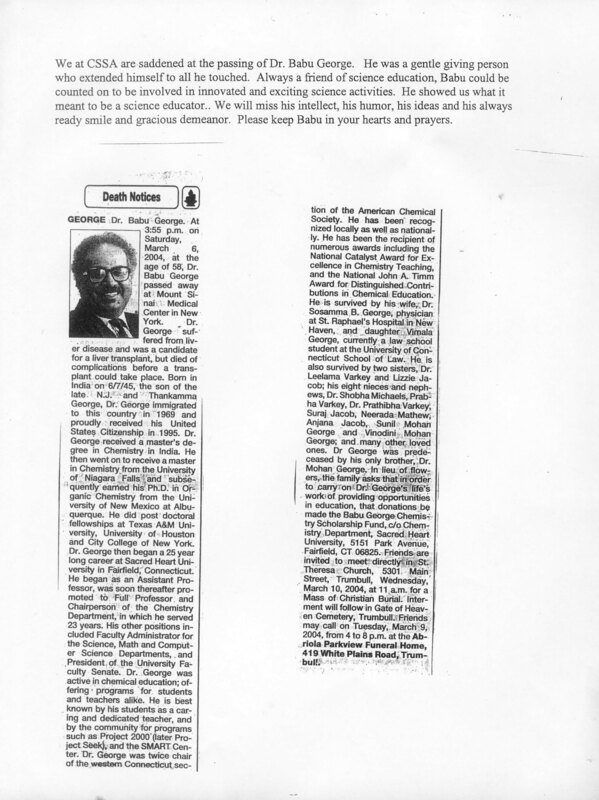 Babu George was a Chemistry Professor at Sacred Heart University, and a wonderful person who was very involved in supporting CSTA and CSSA when we needed a place to hold events. We considered him a great friend and really miss him still. We instituted an award to be given to the Presidential Awardee in his name.